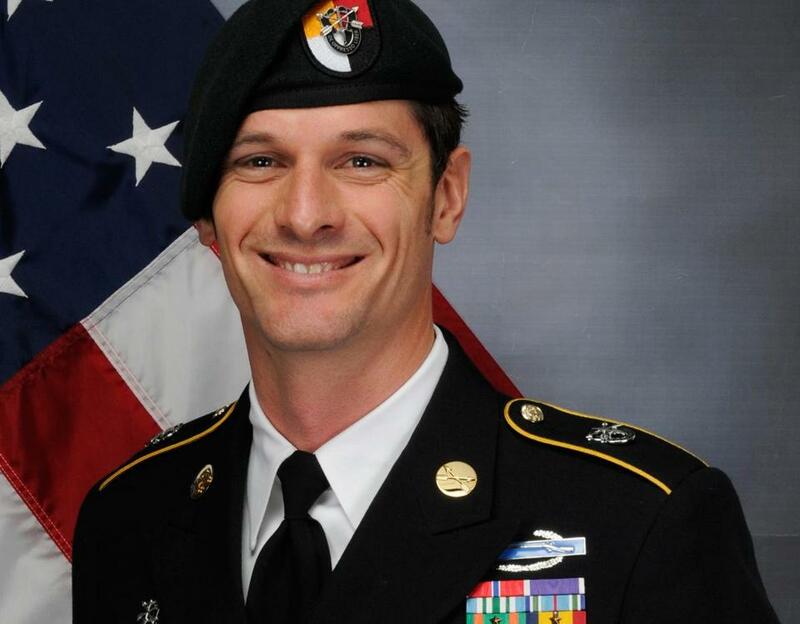 Army Sergeant First Class Eric Emond was killed in Afghanistan on Tuesday. Eric Emond was sitting at a table in a small room at Florian Hall in Dorchester that night eight years ago when Dan Magoon pulled out a napkin. A bunch of Boston cops and firefighters who had served in the military, and some like Emond who were still serving, had gathered at the Boston firefighters hall on Hallet Street to kick around some ideas. They had made it back from war, but a lot of their friends had not. There were some parents of the fallen in the group, and it got emotional and voices cracked. But there was a steely resolve in that room, too, and they made progress, with Magoon jotting down on the napkin ideas about building a memorial to those from Massachusetts lost to war since 9/11. He scribbled a prospective logo. They talked about how to raise money, selling T-shirts, holding a dinner. At some point, Eric Emond spoke. He wasn’t as well-known as some in the room. He grew up in Fall River, had served with the Marines, later joined the Army, got his Ranger tab, then became part of the Special Forces as a Green Beret. Emond was at Florian Hall that night because he had been wounded in combat and because he had served in the 19th Special Forces Group with Greg Kelly, a Boston firefighter who was sitting at that table, too. Emond had come to Boston to recover from a head injury he sustained when a rocket-propelled grenade exploded near him in Afghanistan. He was getting treatment at Spaulding Rehab while he and his wife, Allie, lived on Stock Street in Dorchester. Eric Michael Emond, 39, was killed by a roadside bomb in Andar, Afghanistan, Tuesday along with two comrades. Emond wasn’t a big talker, but what he said resonated in that room. He said that whatever they did, it had to be more than putting names on a monument. They had to take care of the Gold Star families left behind. Honoring the dead wasn’t enough, he said. Serving the living had to be part of the deal. Everybody looked around and nodded. And with those spare, heartfelt words, Eric Emond had essentially written the mission statement for Massachusetts Fallen Heroes. Now his name will be added to the monument in the Seaport that he helped make happen, and his family will join those needing consideration and care. Emond, a sergeant first class with the Third Special Forces Group, was killed in action along with two other American service members on Tuesday when their vehicle was hit by an improvised explosive device in Afghanistan. He was 39. He left three young daughters. Steve Xiarhos, the deputy police chief in Yarmouth, was sitting at his desk Thursday morning, also remembering. The pain, the actual sharp pinch he felt in his chest nine years ago when he learned his son Nick, a Marine, had been killed by a roadside bomb in Afghanistan, returned Wednesday night when he found out Eric Emond had met a similar fate. Xiarhos was at that meeting in Florian Hall eight years ago, too. His oldest child had been killed in action only months before, and Xiarhos found himself shaking hands with a tall, lanky guy with an easy smile. Emond didn’t just offer platitudes to a grieving father he met by chance. He took it to the next level, reaching out to Nick’s mother, Lisa, and to Nick’s siblings, his little brother Alex and the twins, Elizabeth and Ashlynne, who were young teenagers when Nick was killed. It wasn’t just Eric. It was his whole family. Allie and his sister Laura created Mass. Fallen Heroes’ first database. They were all in on this new mission. After he healed in Boston, Eric Emond went back to war. He spent 21 years, his entire adult life, in the military and was on his seventh combat deployment when he was killed. Greg Kelly and Emond met at a Special Forces sniper school in Indiana in 2007, and they became fast friends. They were in the Second Battalion of the 19th Special Forces Group and deployed together to Afghanistan in 2009, the year that Emond was wounded. Kelly said some may wonder why a married father of three kept returning to combat. He said Emond’s sense of duty overwhelmed any reservations. He said the Special Forces motto — De Oppresso Liber, to free the oppressed — was more than just words to Emond. When Emond met with villagers in Afghanistan whose daughters couldn’t go to school because the Taliban wouldn’t allow it, he thought of his own daughters back at Fort Bragg in North Carolina. It’s what he died for, too. Eric Emond died in an endless war that barely registers as a blip on the consciousness of most Americans. Thirteen American troops have been killed in action this year, five of them this month alone, in a war now fought mostly by special operations troops. While we worry about Christmas shopping and traffic and whether the Patriots will make it back to the Super Bowl, real patriots — soldiers, airmen, sailors, and Marines — are in harm’s way every day. Some of them, like Emond, make the ultimate sacrifice, leaving behind family and friends to remember a war that so many others forget. Now the Xiarhos family and a contingent of other Gold Star families are committed to helping guide Emond’s family through a minefield of loss and grief, the same way Eric Emond helped them.